Later this month, Patricia Heaton, Katharine McPhee and Beau Wirick will be joining World Vision on a humanitarian trip to Jordan. 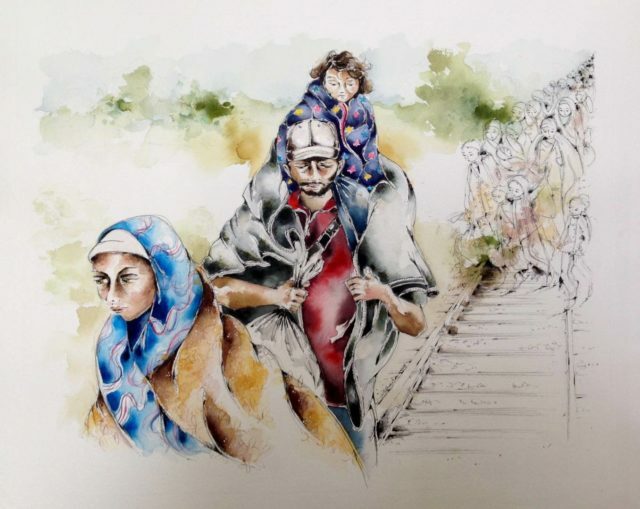 Highlights Painter Naomi Cox will show a series of watercolors to highlight the plight of Syrian refugee. Art will be on display April 2-30 at Dubsea Coffee in White Center. An artist reception will take place April 8 from 5-7 p.m.
A Norway-led coalition today announced two winners of the EduApp4Syria innovation competition and the worldwide release of open-source Arabic literacy learning games Antura and the Letters and Feed the Monster. Both games are now available for free download through Google Play and the App Store. 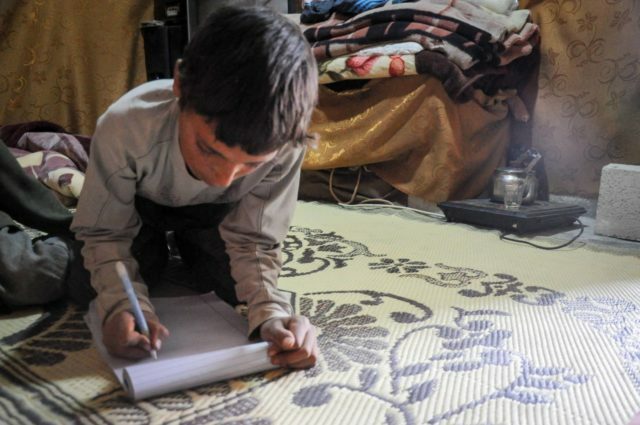 As Syria’s devastating civil war enters its seventh year next month, millions of Syrian children will lose yet another year of schooling as a result of the crisis. 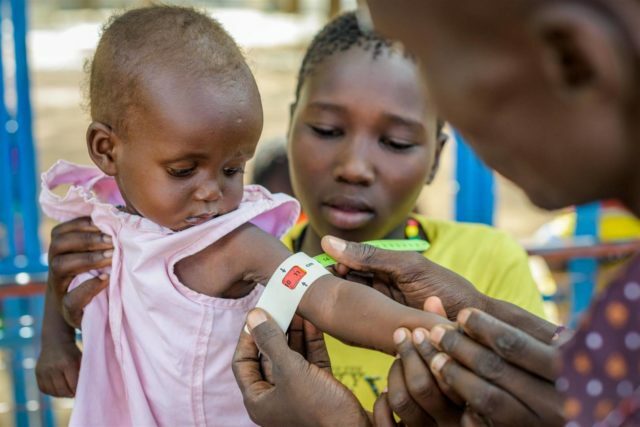 In response, World Vision, Microsoft, NetHope and others will host a summit next week to bring together some of the world’s best tech minds to create educational solutions for these students. 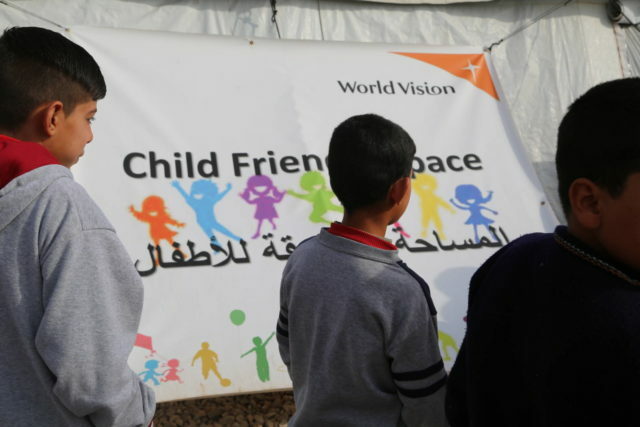 World Vision is poised to support children and their families expected to flee western Mosul, as a military offensive to re-take the second half of the city gains pace. 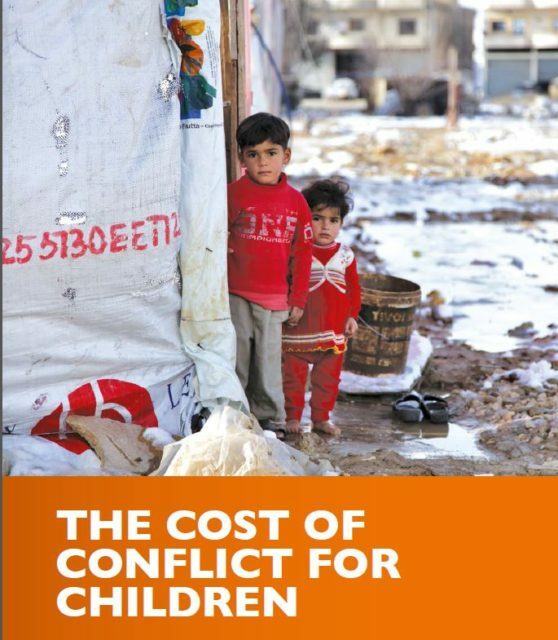 World Vision partnered with Frontier Economics to evaluate the economic losses to Syria, Lebanon, Jordan and Turkey, and provide a closer look at the impact the Syrian conflict is having on children. 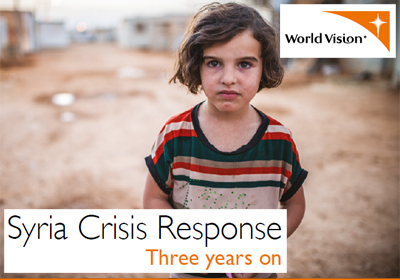 A comprehensive look at World Vision's work in the Syria Crisis in 2015 -- showing success, numbers of people helped and the way forward in 2016. An increasing number of children are journeying across Europe as a part of the refugee crisis. 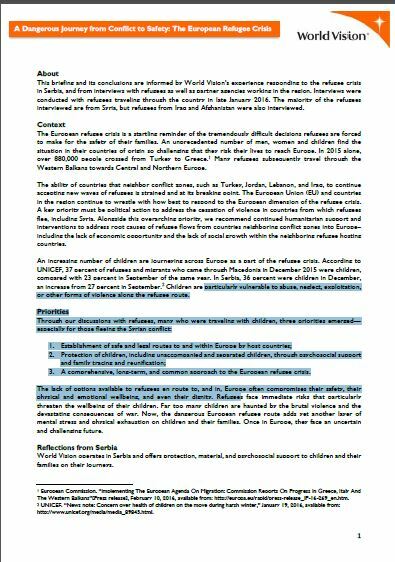 This policy brief provides overall recommendations to keep those who are the most vulnerable safe. 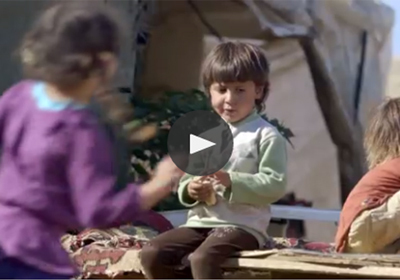 This video highlights the promise and success of Child-Friendly Spaces in keeping Syrian refugee children safe and happy. 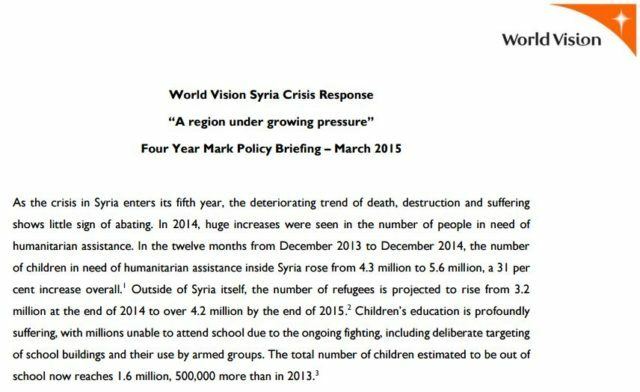 As the crisis in Syria enters its fifth year, the deteriorating trend of death, destruction and suffering shows little sign of abating. 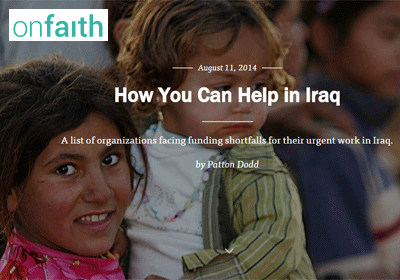 In 2014, huge increases were seen in the number of people in need of humanitarian assistance. The human tragedy of the Syria crisis is incomprehensible, because for every adult, every child affected ... there is a face, a heart, a loss, a dream, a story. 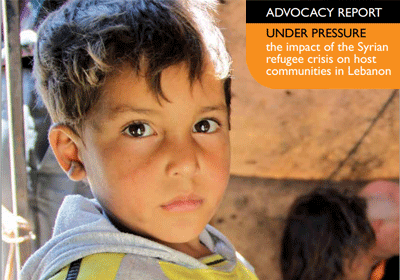 This report summarizes World Vision’s involvement in supporting children, parents and families affected by the Syria crisis. It tells not a story of resolution, but of respite. It recounts our efforts to mitigate some of the worst effects of this crisis. 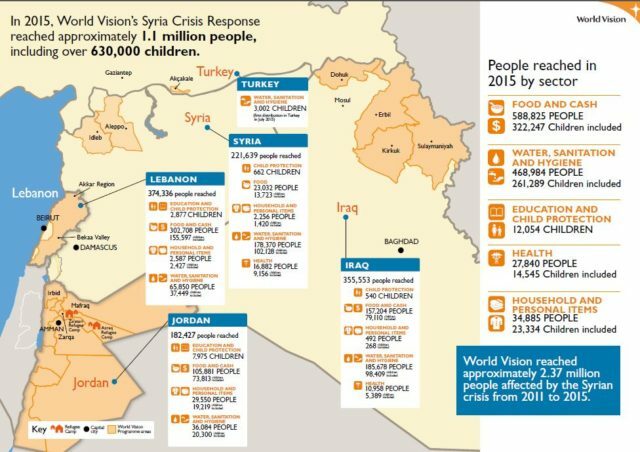 World Vision is one of the world’s largest Christian humanitarian organizations, and is currently working to provide displaced Iraqis with food, water, sanitation, shelter and safety. 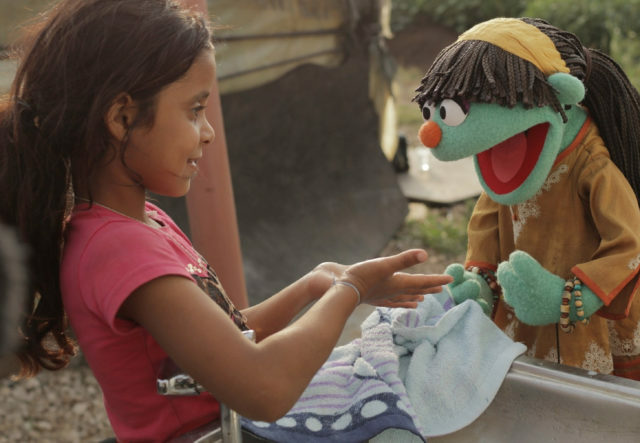 World Vision currently has teams on the ground in Iraq, assisting religious minorities and those effected by the violence who were forced to flee their homes. 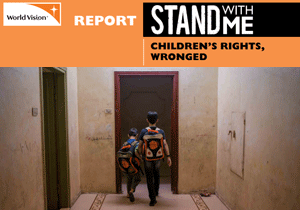 As the Syrian conflict nears its fourth year, the situation for children affected by the crisis is becoming unbearable. 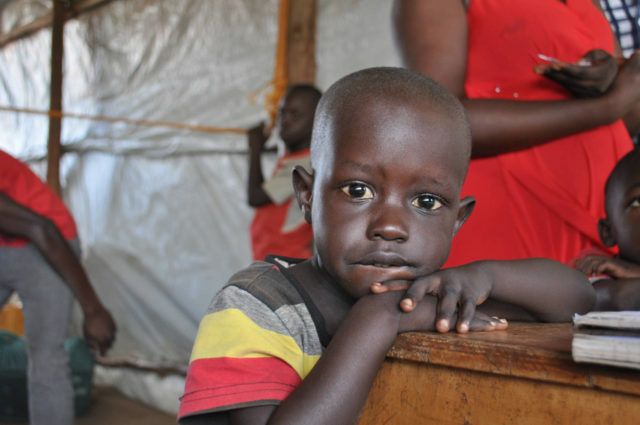 Thousands of children have been killed, and millions more have been displaced. 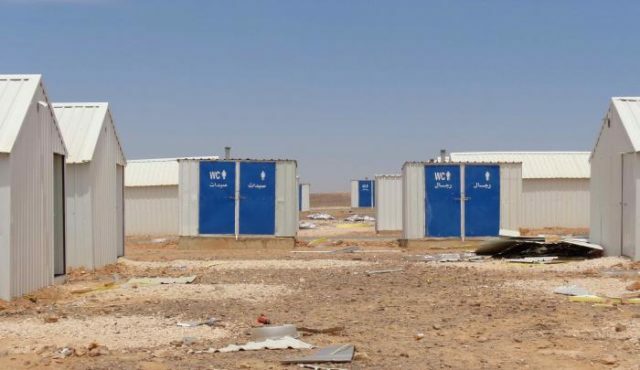 More than 4.3 million of these children remain in Syria, while more than 1.2 million have fled into neighboring countries, including Lebanon and Jordan. 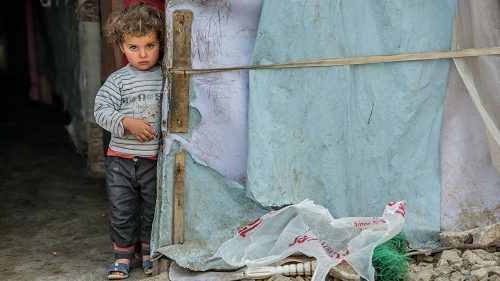 Every day the crisis in Syria is prolonged, the pain endured by innocent families grows – leaving deep scars that are likely to disfigure the Middle East and beyond for years to come. 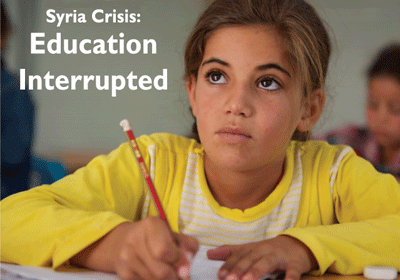 Most affected of all are Syria’s children: more than 5 million young lives are at risk of becoming a “lost generation.”This paper focuses on the havoc being wreaked on these children’s hopes of an education – and the likely consequences for the region’s future. War in their country is placing on Syrian children emotional burdens they are too young to bear. War in Syria and the resulting flood of refugees into Lebanon places enormous pressure on Lebanese families & communities. 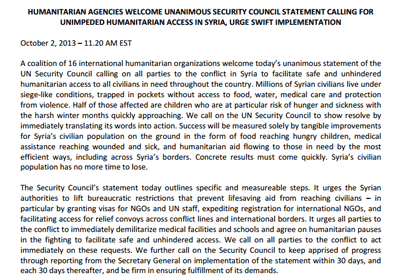 A coalition of 16 international humanitarian organizations welcome today’s unanimous statement of the UN Security Council calling on all parties to the conflict in Syria to facilitate safe and unhindered humanitarian access to all civilians in need throughout the country. It can be tough not to despair in the face of the relentlessly awful news pouring out of Iraq — ethnic cleansing, widespread persecution of Muslims, Christians, and Yazidis, a tyrannical government that may not be replaced anytime soon. But despair leads only to inaction. 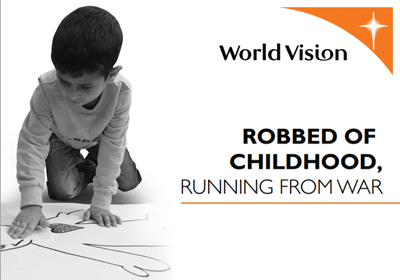 World Vision is preparing a response to help those who’ve been forced to abandon their homes, including providing food, water, shelter, and health care.